Remember those days when you watched Madhuri dance in a gorgeous orange saree the world went awww! Or as Karishma sang maiya yashoda flaunting a stunning lehenga and all brides took notes. Those were the days when designer outfits were much beyond our reach. Practically all women found images of their favorite outfits flaunted by Bollywood beauties and went back to their tailors asking them to replicate the designs and patterns. But they weren't quite right and you don’t need to do this. Not anymore! Visit VIVA-LUXE and you will know what I mean. Established with one motive; to offer the best of the Asian couture to every woman no matter where in the world, VIVA-LUXE specialises in presenting elegant and distinct pieces from hand-picked designers on their portal. 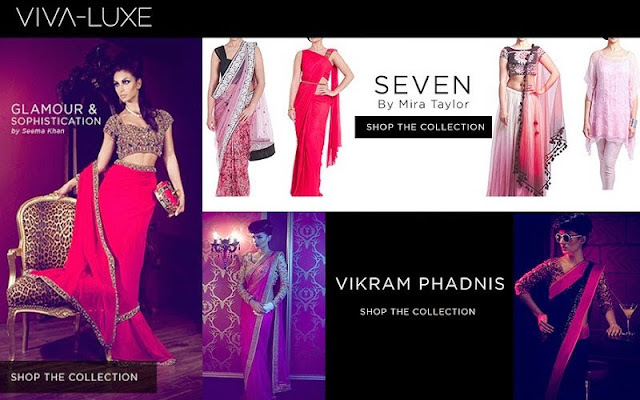 The online shopping haven not only offers some of the best from each designer’s collection, but if you are looking for an exclusive piece, VIVA-LUXE is the place to be. They have specially curated exclusive pieces that you wouldn't be able to find anywhere else. From what I see, the designers they work with are the best from around the globe who live fashion and style through their work. Currently they have an exquisite collection of sarees and lehengas. 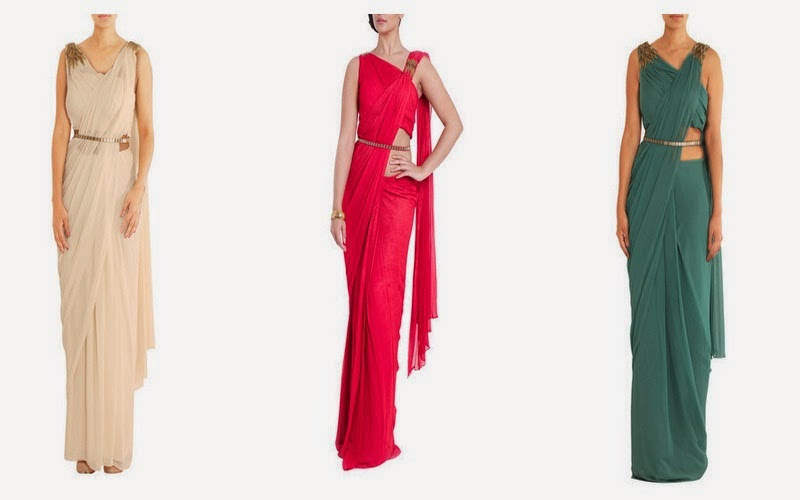 But I have been completely mesmerized by the Saree Gowns by Mira Taylor, so ethnic yet so modern and stylish. With a talented pool of designers on board, VIVA-LUXE has something for everyone. With the pieces from creative and style geniuses like Vikram Phadnis, Parul Signature, Seema Khan, Shehla Khan and Mira Taylor, you are sure to pile on your favorites to the online cart. If that isn’t enough to boost their online egos, VIVA-LUXE has some good news in store for Bollywood fans. Coming soon in March you will be able to buy pieces from even more of your favorite Bollywood designers through Viva-Luxe. Stay tuned to the space. With the ace entrepreneur Maheep Kapoor at the helm of things, VIVA-LUXE is definitely a space to look out for. With her experience in jewelry and fashion, Maheep is sure to bring in exciting designers and collections to the online store. * I've been informed that Viva-Luxe will be offering made to measure on the new ranges coming up.